As spring draws near many riders start thinking about local training races, be they off road or on, in advance of bigger targets later in the year. But do we really know how to treat those training races and what to be doing in them? Are we sitting in and just going through the motions? Are we instigating move after move in a vain attempt to race into fitness? There’s a balance to be struck in how to treat local training races based in part on what our long-term goals. 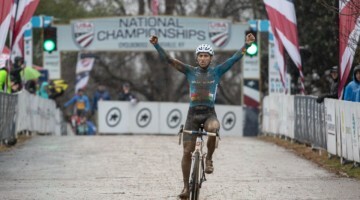 Adam Myerson gives us some pointers, below, on what to consider when it comes to training races. Even if you know the advice laid out here, it’s a great reminder as the racing season unfolds. Take a look at Adam Myerson of Cycle-Smart‘s tips for making the most of training races in this week’s Training Tuesday piece. 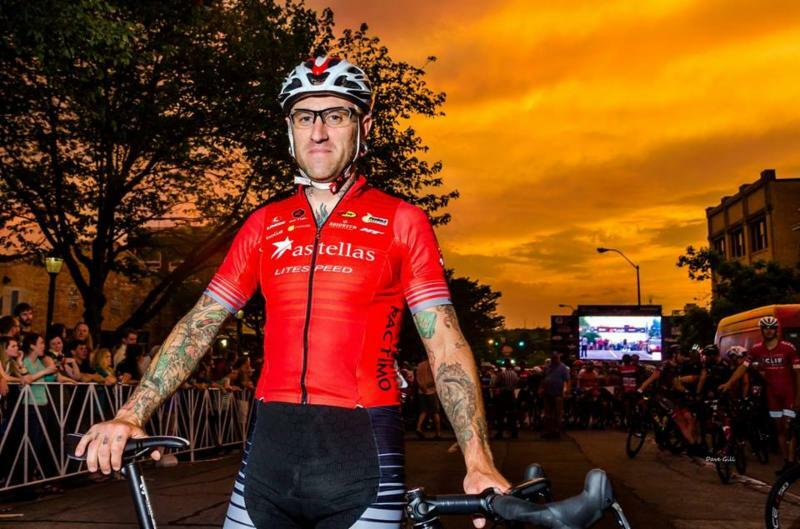 File Photo of Adam Myerson at the Athens Twilight Criterium. With goal races later in the season, it’s important to know the value and purpose of training races. Photo: Dave Gill. As February has come to an end, many North American racers will begin racing in the next few weeks, if they haven’t already. Unless you spent the winter somewhere warm where the early season races actually mean something, most of you will start the year with a month or so of smaller training races to get your feet wet (often literally). Training races are a great way to evaluate your early season fitness, sharpen your skills for the real races coming up and get some higher intensity, variable power training done in a mentally easier environment than solo intervals staring at your handlebars. 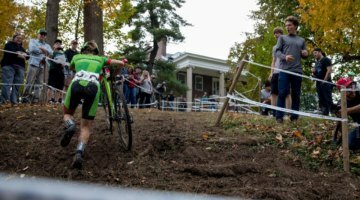 The catch here is that many riders forget the “training” part of “training race.” The excitement can often be too much to control, ego takes over, and people race themselves into the ground before the real season even starts. If you participate in training races this winter and spring, it’s imperative to lay down some rules for yourself based on your training needs and follow them to the letter, however difficult it may be to sit back and watch when the attacks are going up the road. Unless you’re a full-time bike racer, short days and bad weather naturally limits your training time, often right up to the point that the racing season starts. This leaves many riders going from the trainer to training races in a weekend; a 0 to 60 approach that can lead directly to an early exit to the season. Too much work above threshold too soon, without the aerobic foundation and work capacity to handle and recover from it, will generally see you going too good, too soon for too short a period. In most cases, racing to win these early season training races won’t be your goal, and it’s crucial to remind yourself of that. No one gets a pro contract from training race wins. If you plan on participating, make the races fit your long term season targets. If you’re focusing on a mid-summer stage race, then you should be limiting your high intensity work in March and sitting in. If you need to be ready for NCC criteriums in April, then you might take a more pro-active approach, be active in the races, and try to raise the total number of minutes you can spend at and around your threshold, as well as your capacity for riding above it. Either way, don’t race above your fitness level while you’re still trying to build foundation form. If you bury yourself on a Sunday in March when you’re still trying to increase your aerobic work capacity, you run the risk of losing training days during the week. If Tuesday comes around and you’re not recovered enough to train because you went beyond yourself on Sunday, you either lose a training day, or end up over-training because you needed the recovery but trained regardless. In both cases, you stunt the development of your form, and the racing is counter-productive. This doesn’t mean you can’t win early season training races even when you’re holding back, contradictory though it may sound. If you know, for instance, that you’ve only been able to finish 30 or 40 minutes of threshold intervals in your training but find that you’re fit enough to sit in comfortably during the race, you might allow yourself the last 15 or 20 minutes of the race to be more active. Still, you should do your best to avoid extended periods above threshold by riding in breakaways or going with absolutely every attack. Even if you find that just sitting in is challenging enough for you to get the intensity work you need for the day, you can always allow yourself the freedom to take part in the sprint for whatever places are remaining. In this case, the total amount of time you’ll be in the red is limited to one final effort, so you can only do so much damage. With that approach you’ll often find you’re still sprinting for the win, which is an excellent lesson in itself. Sitting in during these early season events is a prime time to actually watch and study a race while being a part of it as it unfolds. If you’re sitting in, don’t do so mindlessly. Ride close enough to the front to watch the race as it goes on. Mark every attack, and who goes with it. See who’s fit, and who might be someone to follow when the real races start. See how moves you might have gone with otherwise play out, whether they stay away or whether they come back. By doing this, you can start to get a sense of the ebb and flow of the race without having to make tactical decisions while you’re at your limit and can’t think straight. The lessons you learn in this approach to training races will hopefully stay with you when you find yourself in an important event, and help you with your patience and choice of tactical moves to make or go with. And in the end, if it does come down to a field sprint, you’ll find yourself fresher and ready to make a full-strength go at it. In general, holding back now will let you continue to build your form but still get the benefit of racing, allowing you to be in ideal form when the events that matter come around, and the racing is finally more important than the training. Why not think of rides just to get ready for a nice summer tour?